Thanksgiving is officially over. For me that means time to get the tree and decorations out and make my home festive and magical with twinkling lights. I’m very excited because this year my daughter will be home for Christmas and I’m looking forward to spending quality time with her. 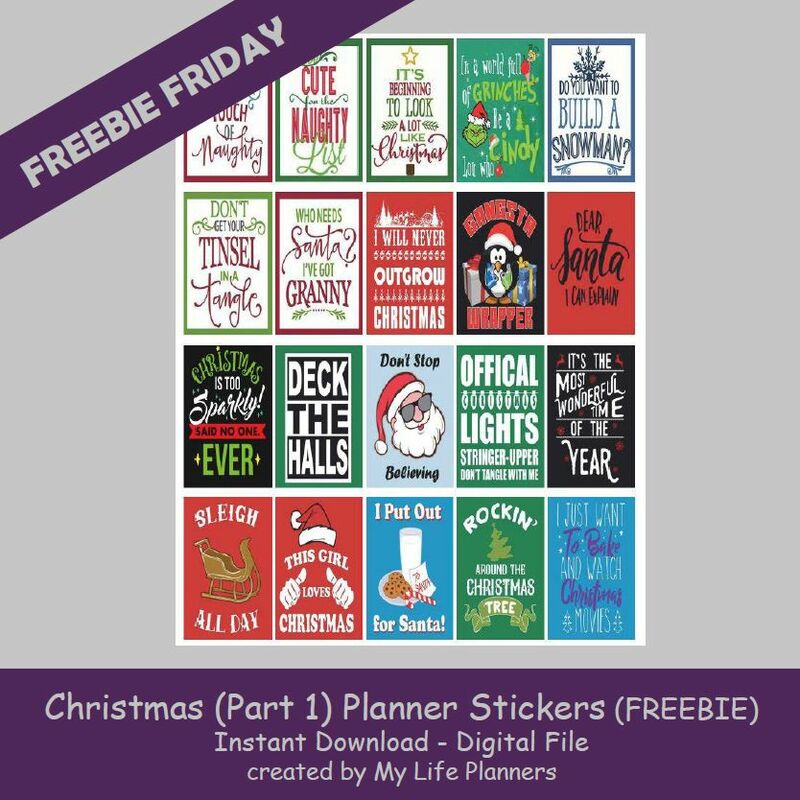 I’ve decided to once again have Freebie Friday feature a few weeks of the same theme, which will obviously be Christmas. There will be three parts to the Christmas Theme. I hope you like part 1. In case you missed Christmas 2016 Planner Stickers you can revisit and download them from here. It’s not too late to start thinking about what your Christmas plan will be. To help you get prepared and be on top of everything, My Life Planners Etsy Shop has these wonderful Christmas Planners to help you out. This is a valuable tool that can be used year after year to make your holiday happy.